Online Electric Guitar lessons and More! Learn how to play guitar. Online electric guitar lessons to speed your progress. You want to learn how to play guitar faster, who can blame you? But is it possible? With the right tools and beginner guitar lessons, yes! Stick around - This site is about how to learn to play guitar much faster than before. Why is this site worth your time? I have spent hundreds of hours of research to find the tools, guitar learning techniques and resources to learn to play the guitar faster. Beginner guitar lessons, online electric guitar lessons to get you started, tools and ideas to keep you learning and improving. The purpose of this website is to pass that hard earned knowledge onto you so you can save time in your pursuit of guitar mastery. Techniques and tools for concentrated effort and above average results. To learn to play guitar faster and with fewer roadblocks. That's what this site is about. Online electric guitar lessons and Beginner guitar lessons and tips for above average results. The best solutions I've found, tips on staying motivated, reviews of online guitar lessons (coming soon) and helpful equipment - tools, techniques and practice routines that I've discovered for learning guitar faster. Making your way through the overwhelming choices of online electric guitar lessons, guitar amplifiers, guitar tuners, metronomes, drum machines, lesson software and recording equipment and all the things you need.... to help you learn to play guitar, can be a challenge and a major frustration to swim through. 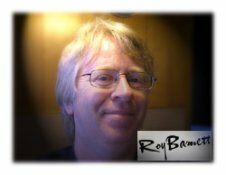 Why this site could help speed your progress as a guitarist..
Hi, my name is Roy Barnett. I've been playing guitar since 1974. So what qualifies me to write this site? Why should you listen to me? I've been playing guitar and studying what's out there that helps for over 38 years. Have I Made steady progress? No, but I have learned about what works and what doesn't. I'm still learning. I'm still working hard to find the answers to learn the guitar faster. I've seen allot of frustration both with myself (keeping myself on track and motivated) and with the methods that I have tried while striving to learn to play guitar. Some of them were very good and - most were confusing, incomplete, frustrating and an amazing waste of money. Finding the time to learn to play guitar can be very challenging. Jobs, family and day to day living takes up most of the people's time so they can't even find the time to practice and get better. Needless to say, I saw how confusing it can be for a beginner guitarist or even someone's who has dreamed of amazing guitar skills for a long time and never could quite put things together. A few great tools and techniques that have worked for me and might be the answer for you too. I'm here to pass these along in the easiest, most understandable way with beginner guitar lessons, reviews, and tips. These are a few of the things I've discovered about how to learn to play guitar. 1. A consistent guitar practice routine - This is essential, practice does take time so you must be organized and make the best use of your time possible. Consistently concentrating on the top 20% of results producing effort. That's how you get results. 2. Guitar Practice tools - Good news! The tool, you are using now, is the key to rapid and consistent progress. Computer based metronomes, Music slow down software, jam tracks and state of the art recording and playback tools make learning guitar so much easier. 3. 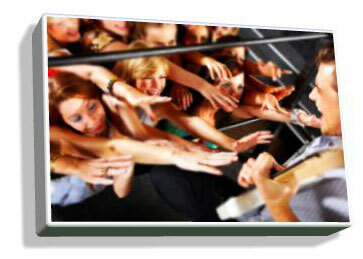 Beginner guitar lessons - State of the art multimedia lessons are the fastest and easiest way to learn guitar. You have begun your guitar journey at the very best time in history. I'll be adding reviews of those lessons as the website grows. 4. My own online beginner guitar lessons. Acquire a great chord vocabulary, master blues guitar scales, learn to read guitar tab and much more. Online electric and acoustic guitar lessons that are easy to understand - I'm not going to confuse you with music theory or complex explanations. There are plenty of people out there to do that already. A. Fretboard Memorization system - This will help you learn to play guitar with much more confidence and speed. After spending money on a system that was supposed to teach you in 60 minutes and I had no success with it, I decided I could probably do better. So I put together one, that I think, is simple, effective and easy to use. And you don't have to waste 30 bucks on it. This is my first installment of online beginner guitar lessons - Try it and see how easy and fast it works for you..
Six easy steps to memorizing the fretboard. How to choose the right guitars and equipment for you. How to choose your guitar. If you don't have a guitar that you are happy with, you need one. Your guitar should be your best friend and inspire your best efforts to learn to play guitar. How do you choose a guitar that is right for you? Here're some guidelines for finding your perfect guitar. Buy an acoustic guitar - What makes one guitar sound so much better than another even though they both look really good. Be a smart buyer and avoid potential pitfalls of buying a bad guitar. - It's not just a wood box. Buy an electric guitar - Most of them look great, but which one is really going to help your make the sounds that you have in mind. - Learn to play guitar on an electric that doesn't have to cost a fortune. Acoustic travel guitars - How can you learn to play guitar when you don't have one with you? Ever been somewhere and wished you had a way to practice? Cheap acoustic guitars - I've found a few that sound much better than their price would let on. Beginner electric guitars - Get a great start and save money on future purchases. How to buy a guitar you won't outgrow. Choosing a guitar amplifier. An amplifier is a vital part of your sound. Guitar amp reviews - learn to play guitar faster with the right amp. Acoustic guitar amps - A list of some of the best I've found. Electric guitar practice amps. Amps with built-in tools to help you learn to play guitar much faster than was ever possible in the past. Electric guitar amps for performance - When you're ready you need an impressive guitar amplifier. Tuning your guitar, Quickly, easily and accurately. How using the right tuner can sharpen your ear help you learn to play guitar faster than ever. Sounding your best is easier than ever. Metronomes and Drum D machines can make practice allot more fun and build the rhythm timing and the groove you absolutely need to learn the skills of guitar masters successfully. Check these out. Hand and finger strength, speed and dexterity. These tools have been a major breakthrough in my progress in learning to play guitar, check it out. When you are strong your confidence shows. Recording your guitar. Top guitar teachers highly recommend recording your progress - here are ways to do just that. Guitar Software Use your computer to speed your progress, master your fretboard, improve your speed, train your ears, learn to improvise on the spot. It can't do the work for you, but it can vastly help you towards your dreams of guitar mastery. But I believe I can share some insights to help you find the online guitar lessons, guitar software and practice tools to help you develop the guitar skills that you need to be a successful, impressive guitar guy or gal. So welcome to Guitar-Skill-Builder.com. Have a look around.Share it with your friends that want to learn guitar. Expect more beginner guitar lessons and Online electric guitar lessons on this site soon, I'll be working hard on it. The reviews of online guitar lessons take time so please check back often.